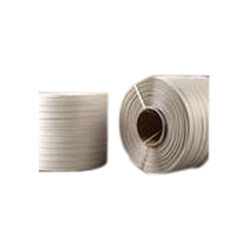 We are a remarkable entity, engaged in manufacturing and supplying a supreme quality range of Box Strapping Roll. Used for wrapping the box in various industry. Established in the year 2013, at Dhoraji (Gujarat, India), we “Trishul Polymers” are the reputed Partnership organization, engaged in Manufacturing and Supplying the finest quality range of Plastic Rope, Plastic Twine, Strapping Roll, Nylon PE Twine, Stitching Twine, Plastic Twine Roll and Polypropylene Twine. We are backed by a sophisticated infrastructural base, which comprises of various units such as warehousing, production, and sales & marketing. Under the leadership of “Mr. Savan Sojitra” (Partner), we have been able to cater the various demands of our valued clients.